Earth Day 42 . . .
Earth Day 42 can be called the day the rains came. At last! New York is reported to be nearly nine inches short of the average amount of precipitation expected for the region. Bluebird skies and dry, windy days have filled the winter and spring of 2012. Low water levels have brought up drought concerns on the news and on angling message boards. And then near midday on Earth Day, a nor’easter arrived, giving the city its first drink in several weeks. This has been the first Earth Day in quite some time in which I was not out and about in nature, either fishing, cycling, or simply exploring. The rain kept me indoors except for a quick walk with my wife to Union Square where we dropped off recyclable items like batteries; a chore that, in hindsight, fit the theme of the day. 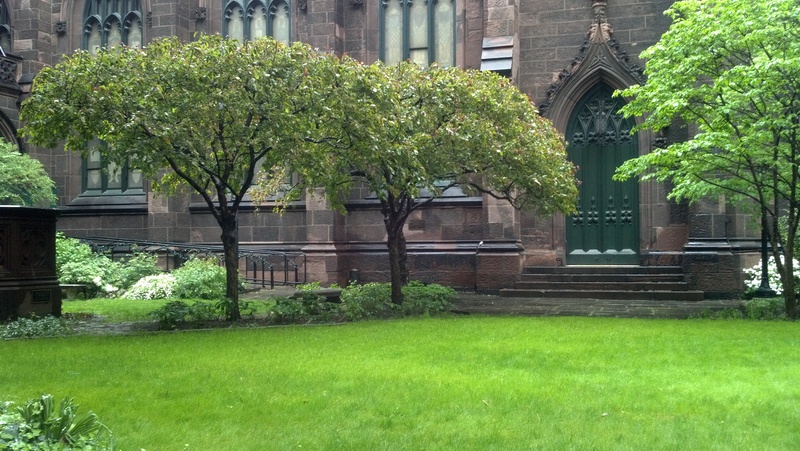 The green lining to the gray rain has been the quick invigoration of the trees and gardens throughout the city. While conscientious people around the globe celebrate the ecosphere of the earth, the planet itself, at least over this one populated corner, has returned the favor with its greatest gift: life-giving rain.